The Sinful Sirens post is below, but please do check out Tracy’s post first and enter her contest! 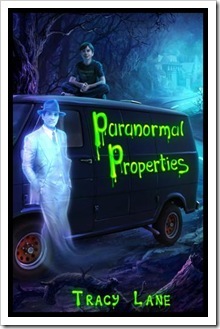 I’d like to welcome Tracy Lane today, author of Paranormal Properties. She’s speaking of ghostly things and happenings, and of course, a little about her latest release. Don’t forget to leave a comment and enter her contest. Over to Tracy! 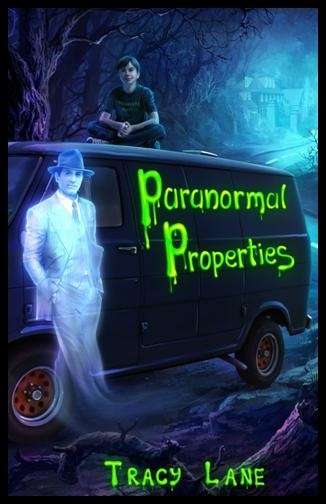 I am Tracy Lane author of Paranormal Properties. The main character is Jake Weir, a 14 year old boy who realizes he can see and hear ghosts. Hauntings are most intense around children entering puberty, as kids this age are emitting immense amounts of energy. This is very true of Jake. He comes to terms with seeing ghosts even though he was a huge skeptic up until he met Frank Barrone, Dusks oldest ghost. I want to share some interesting facts about ghosts. The Weir family has arrived in Dusk eager to scope out some of the town’s 127 reported "paranormal properties," which just happens to be the name of their own ghost hunting show: Paranormal Properties. What Jake doesn’t know, and what his parents could never imagine, is that Jake can see ghosts! And hear them. And talk back to them! This talent comes in handy when he runs into Dusk’s oldest, most famous ghost: one Frank Barrone, a one-time lounge singer made famous by his booze-soaked ballad, "Barroom Eyes." Frank was gunned down by a local mobster in 1951 and has been searching for his killer ever since. When he learns that Jake can see and hear him, Frank makes young Jake a deal: if Jake will help Frank find his killer, Frank will help his parents find a ghost to film for their upcoming Halloween Special on Public Access Channel #319. 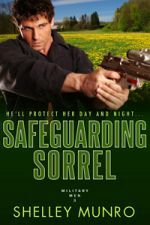 Jake enlists the only friend he’s made in Dusk, an overweight tomboy nicknamed "Tank," to help him track down Frank’s killer. As clues emerge and old leads heat up, Frank and Jake learn they make quite a team. But will Jake find Frank’s killer? And will Frank find a real haunted house in time for Halloween? CONTEST: Complete the rafflecopter to go into the draw to win! 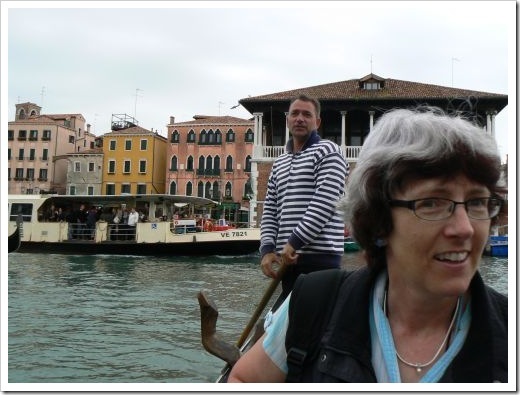 I’m visiting Maria Zannini today where my post is about Cinderella Breaking Bread. 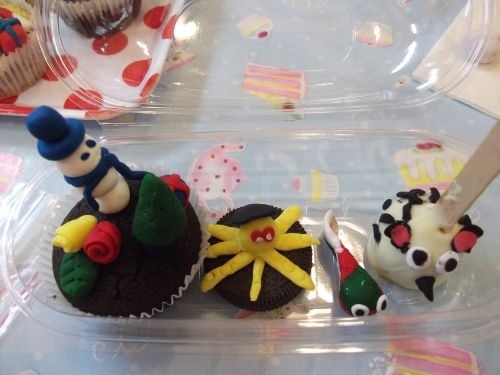 My cupcake course was a bit different from what I’d thought it would be. I don’t know why I thought I’d be piping icing. 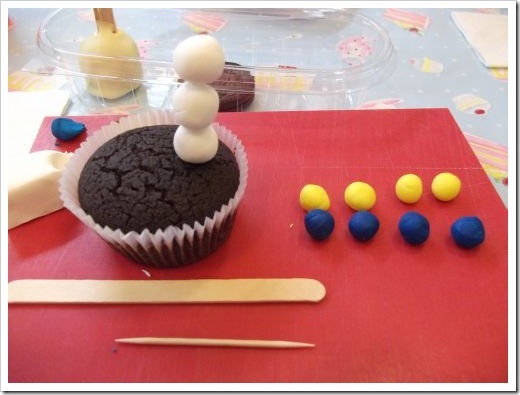 The lesson was with sugar paste and was lots of fun—sort of like reverting to childhood and dabbling with play dough. These are my materials. 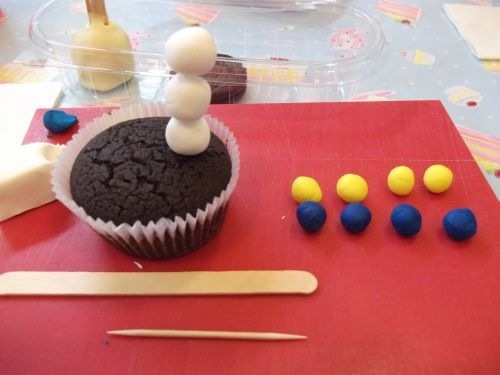 I’ve rolled my sugar paste into pea and marble shapes ready to make my snowman. Here are my final creations. 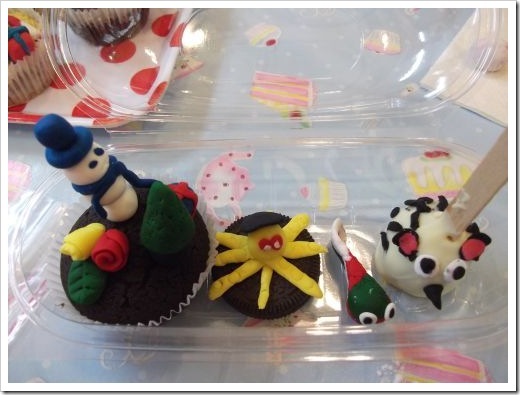 I have a snowman, a pine tree and two roses and a leaf on the cupcake. An octopus on the biscuit. A fish that looks a bit like a tadpole and my cake pop hedgehog. You need to use your imagination with the hedgehog. The photo didn’t do it justice! I hope to see you over at Maria’s blog. With the arrival of cooler weather, I decided to make soup the other night. I wanted to make a soup in the crockpot and chose this recipe for carrot and lentil soup from Joan bishop’s New Zealand Crockpot and Slow Cooker Cookbook. 2. Combine all the ingredients apart from the lemon juice and the salt in the crockpot. 3. Cover with lid and cook on high for five to six hours. 4. Add the lemon juice and salt to taste. 5. Cool a little then puree either in a food processor or with a blender. Return to the crockpot and reheat. 6. 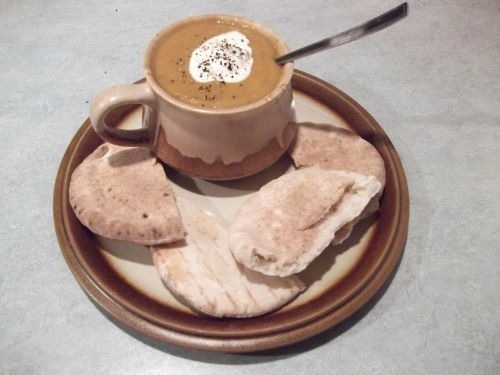 Serve with a spoonful of Greek yoghurt swirled in the top and fresh bread or pita bread. 1. I added some chopped leeks to my soup since I had some in the fridge. 2. This soup was really easy since I dumped everything in the crockpot and left it to cook. The final product was delicious. I’d definitely make this soup again. What is your favorite soup to eat/make? Eyes give me problems. During the writing of my books, my characters change eye color regularly. Sometimes I don’t catch it, but luckily my editor is on the ball. In the book world there are lots of heroes and heroines out there with green eyes. Lots. Quite a few heroines have violet ones too. Not so common in everyday life. I’ve been thinking I should pick a color and allocate that color to all my characters. It would solve my problem! 1. The colored part of the eye is called the iris. It contains pigmentation that determines the color of the eye. 2. Eye colors are determined by the parents, but a child’s eyes aren’t a combination of the parents. The eye color depends on the genes and there are lots of possibilities as to the end result. 3. Most babies are born with blue eyes. A color change occurs if a brown pigment called melanin develops as the baby grows. 4. Darker colors dominate so brown beats green and green wins over blue. 5. Emotions can change the iris color and the pupil size. 6. Eye color can also change with age. This usually happens with those who have a light eye color to start with. 7. 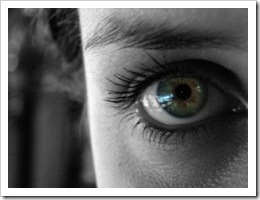 If the eye color of an adult changes dramatically it can be an indication of a disease. Check with your eye doctor! 8. 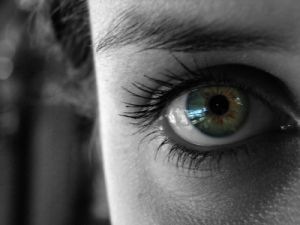 The human eye blinks around 4,200,000 times a year. 9. Blinking helps keep our eyes moist. 10. Only one-sixth of the eyeball is visible. 11. The eyeball remains the same size as it was at birth. 12. Our eyes can detect 10 million color hues (not sure who counted this), but we can’t see ultraviolet or infra red light. According to an online survey about eye color the most popular color is green followed by light blue. Hazel, dark blue, gray, honey, amethyst and brown came next in descending order. My eyes are light blue. What color are your eyes? For you writers out there, do you vary your character’s eye colors from book to book or do you tend to stick to the basic brown or blue? Readers – do you care what color eyes the characters have? 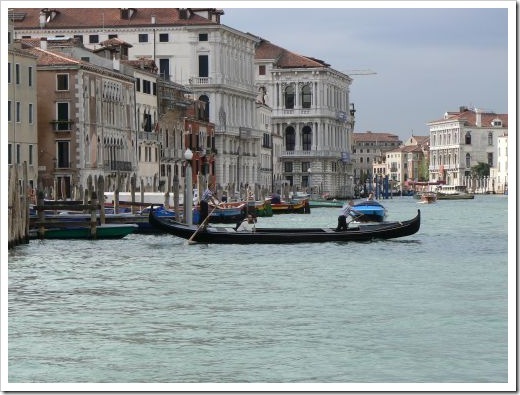 Last year Mr. Munro and I spent a few days in Venice during our Mediterranean cruise. 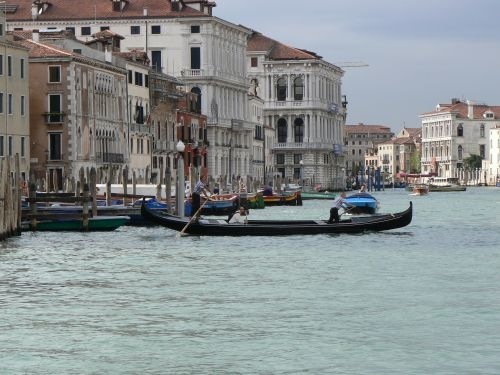 Venice is a very cool place to visit. It’s bustling and full of color and noise. 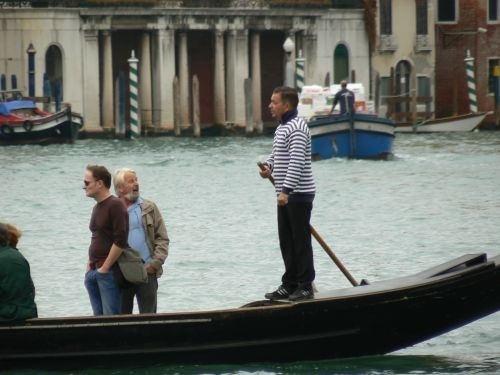 Mention Venice and people’s minds drift to gondolas, but have you ever wondered what happens to older gondolas? 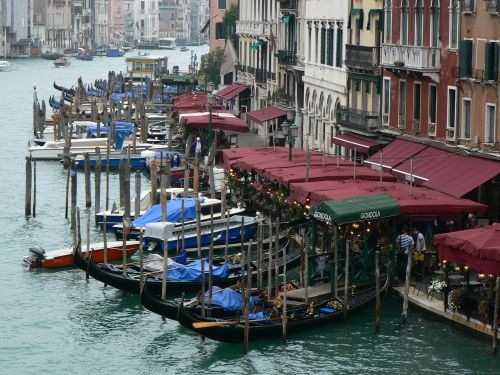 Some of the old gondolas are used as traghetto. And what is a traghetto, you ask? 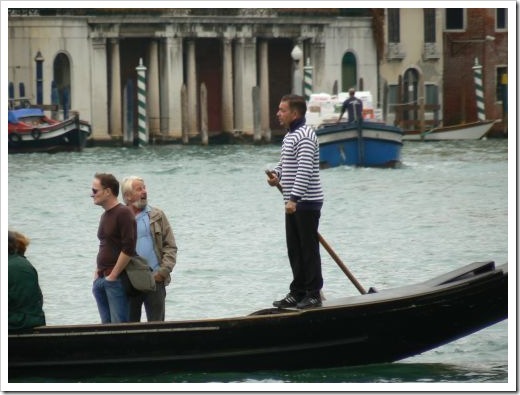 A traghetto is used to ferry passengers back and forth across the Grand canal for a nominal fee. The locals use them all the time. 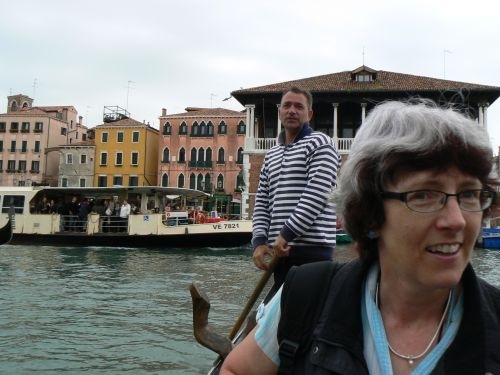 We decided a romantic gondola trip was too expensive, but a traghetto was our chance to ride in a gondola. The locals stand for the journey across the canal. 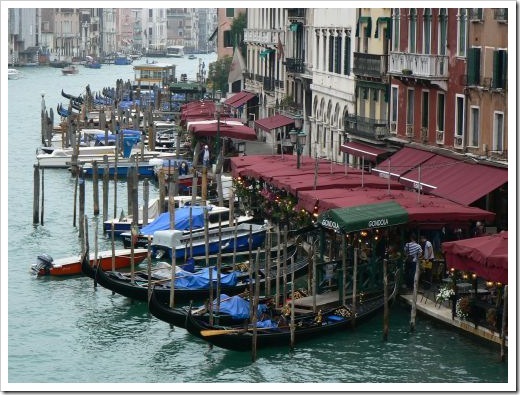 All other canal traffic must give way to the traghetto. Note the uniform above – the striped shirt and black trousers. 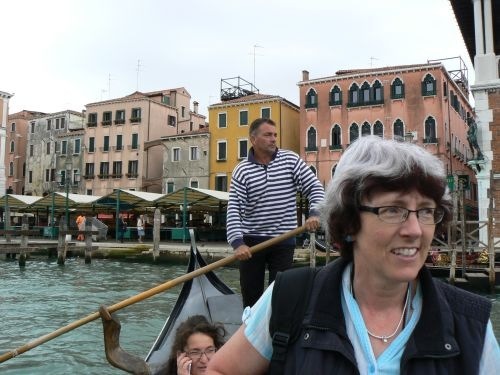 All the gondoliers wear this uniform. I was a little concerned about this standing business, but I noticed the traghetto had a couple of seats and tourists were sitting for the crossing. The canal can get choppy with all the traffic, and it was easy to imagine a passenger overbalancing (me) and tumbling into the water. I decided I was going to sit for the crossing. We paid our fare and stepped aboard. Hubby, of course, decided to stand. Not to be outdone, I stood too. And I managed to get to the other side completely dry, despite the rocking. No sweat! 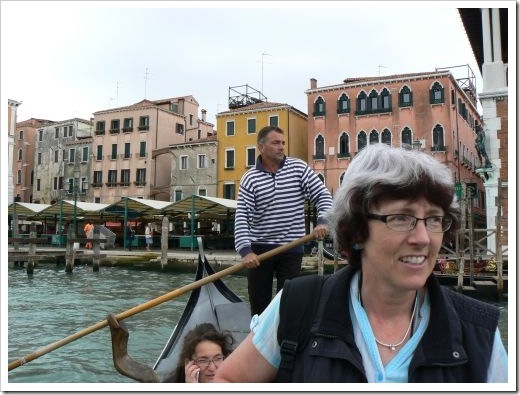 The traghetto wasn’t nearly as bad as the dug-out canoes in Africa, but that’s another story entirely. Do you have good balance? Or are you the one who trips over their feet?